First Nations schools in Manitoba face a shortage of child psychologists. There is an ever growing need for increased capacities and improved services in this area. Now, MFNERC and the Werklund School of Education at the University of Calgary are seeking to fulfill this need. 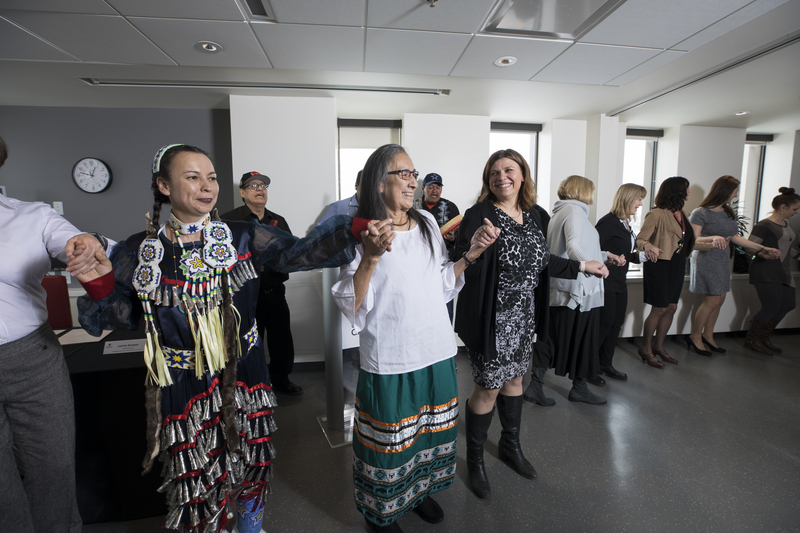 Fourteen First Nations students from Manitoba will soon begin a three-year Master of Education in School and Applied Child Psychology (MEd SACP) degree. They will pursue their graduate studies while remaining in their home communities. Many of the 17 courses are a blend of online and in-person programming. The cohort will meet on the UCalgary campus this summer, and again for their practica during the next two spring terms. In turn, Werklund School instructors will teach in Manitoba throughout the year. “The cohort model works well for our First Nations students,” explains Lorne Keeper, executive director of MFNERC. “As groups share the same goals, dreams, and struggles, they quickly become one large family wherein they provide support and encouragement to one another. No one gets lost in the process.” As a partner, MFNERC will help monitor student progress and build measures to ensure student success. This entry was posted in Events, Training Institute, What's New. Bookmark the permalink. Both comments and trackbacks are currently closed.